Located on the Freedom Trail, guests will enjoy grand views of historic downtown Boston outside, while inside, distinguished décor and thoughtful amenities are evident in every striking detail in each of the 551 luxurious rooms. 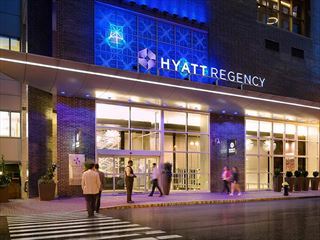 This hotel is located on the Freedom Trail, an easy walk to Beacon Hill, Faneuil Hall Marketplace, Quincy Market, the Financial District, shopping and more. Petite Single: Includes one full-sized double bed. Maximum occupancy is one person per room. Includes a desk. Traditional Rooms: Feature one full-sized double bed. Includes a desk. Deluxe Rooms: Feature two double beds or one king- or queen-sized bed and work desk. 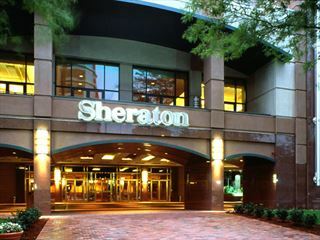 Executive Suites: These spacious suites include one king or two double beds, a sitting area with two chairs and a work desk. 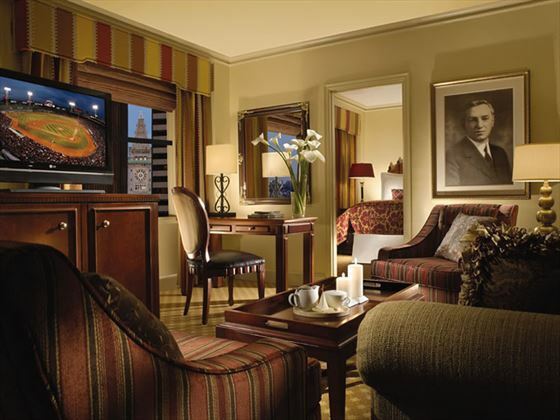 Premier Suites: Individually decorated, these suites honor an historic Boston figure. Include one king or queen-sized bed or two double beds, formal living room, pull-out sofa, armchair and a large work area with a desk. Parker’s Restaurant - Executive Chef Gerry Tice celebrates nostalgic cuisine with contemporary flair at the birthplace of Boston Cream Pie, the Parker House Roll and Boston Scrod. Open for breakfast, lunch and dinner. 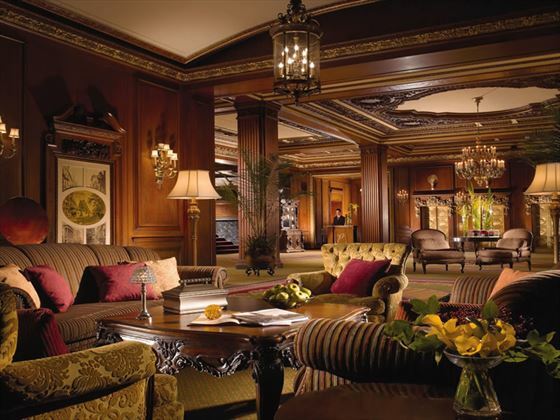 Parker’s Bar - A mahogany haven, this is the perfect spot for having a drink by the fire. The Last Hurrah® - Experience a traditional Boston bar of the bygone era. Sip one of our signature martinis, savor a rich pint or nibble on pub fare. Guest Room Dining - 24-hour guest room dining is available if you choose to enjoy delicious cuisine in the privacy of your room. The Omni Sensational Kids programme - Your children will enjoy plenty of kid-minded amenities, including suitcases filled with games and books, a goodie bag upon check-in and menu choices prepared especially for young travellers. Parents are provided with a list of top family attractions in Boston, local emergency numbers and a safety/first-aid kit which includes a night light and outlet covers.